A year and a half ago, I was contacted by a wonderful woman named Joanie who wanted a painting. 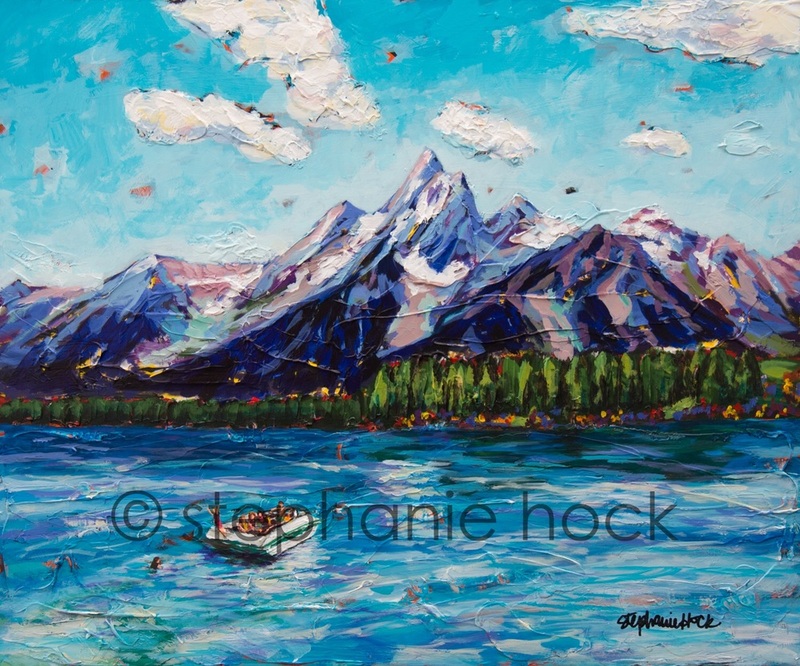 She took her family to Teton National Park every summer and wanted a painting to reflect how happy they all felt when they were there together ("we feel like we're the only boat on the lake, that there's no one else in the world but us"). As we talked about details of the project, I was impressed with how evident her love of her family was. This was special to her because they were special to her, and I was honored to help her capture that. After the painting, I was happy to have several opportunities to run into Joanie. She was always with her kids and grandkids, and I loved to watch her. She was clearly someone who didn't just send money on birthdays, but who really KNEW and LOVED her posterity. It was clear her granddaughters worshipped her and it had an impact on me. Today I sat at Joanie's funeral and wept with all her loved ones about a life cut too short. Story after story illustrated what I got to witness in person during the last couple years of her life. Here was a women who, although she had tremendous personal accomplishments (like running 30 marathons, and teaching high schoolers service learning for over a decade), loved her family the very most and showed them that constantly. Someone said, "She did things to fill her own personal cup so she could come home and give it all back to her family." What a tribute. Joanie has been heavy on my heart all week and I'm so grateful for the example she left, for even someone she hardly knew, like me. It has deepened my resolve to be this kind of mother, wife, sister, daughter and eventually grandmother to my own family. Thank you, Joanie.